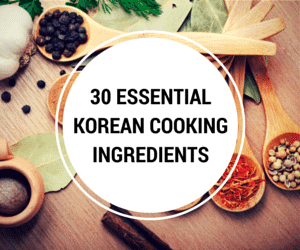 This is a short post about one of the cooking ingredients (noodles) I use for Jajangmyeon (자장면, Korean black bean sauce noodles) and Jjamppong (짬뽕, Korean spicy noodle soup). When I first used this pack of noodles a few years ago, I instantly fell in love with them. I will be buying these noodles every time I make Korean Chinese noodle dishes from now on so long as I can get them! 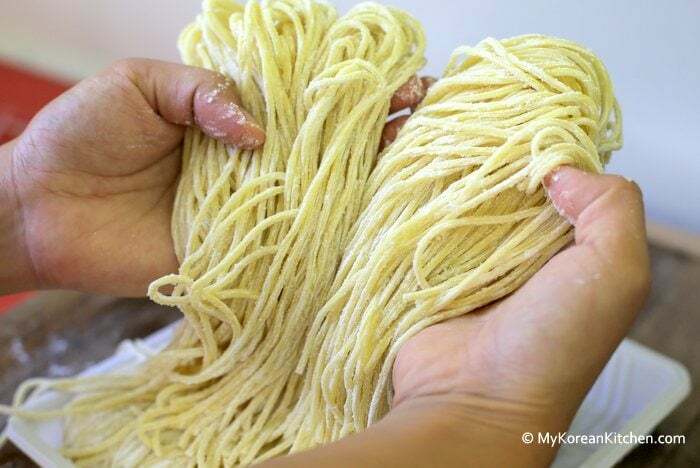 I hope you are lucky enough to get these noodles in your local Korean/Asian grocery store. Try them. You won’t be disappointed. 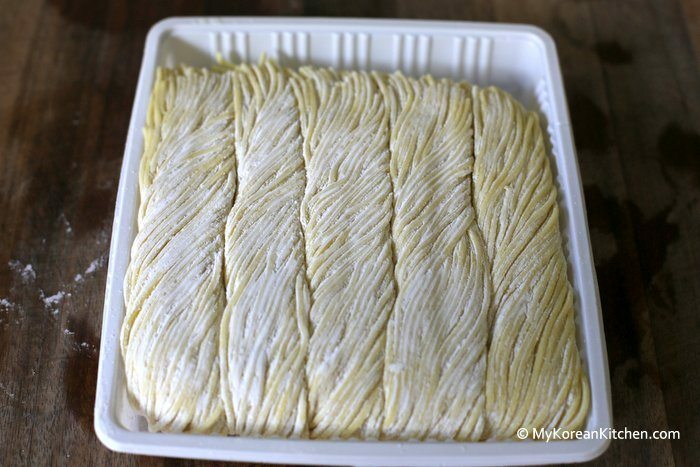 Are these noodles made with egg? My son has an egg allergy. I have came across this noodle and decided to use as an substitute for ramen noodle. I’m not sure if it just the packaging or being left in the fridge for a couple day. However, the point was that when I separated the noodle. It broke apart and at first, didn’t know I dropped the whole roll of noodles into the boiling pot and instead I got a load of gooey noodles. 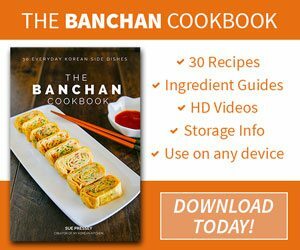 I would love to give it a try again and would like to know how you separate the noodles to the cooking point in receiving such great results? Thank you for your respond! I greatly appreciate it. I took your tip and indeed, it just needed to be cook in boiling water. My first attempt, I had the noodles in the pot before water boiled for it turned gooey. Again, thank you! These noodles are a great choice and readily available at any Asian grocery store. They are soft and chewy, just the way I like it! I used those kind of noodles all the time. It is convenient and the texture is great, too. It is great to have a big Korean grocery store nearby where I can buy necessary groceries anytime I need. Hi Sue – thanks for the tip, I was going to make jajang for Black Day but the time came and went. I still plan to make it soon, I will look for these noodles. I’ve made jajang with rice noodles for my gluten-free friends and it came out pretty good too. We have a big Korean market here in Torrance, so I am sure to find them. YAY. 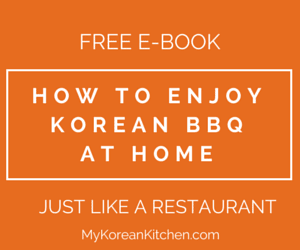 Thanks so much for tweeting my Kimchi Bokkeumbap with Broccolini! So nice of you to share! Sue, those noodles look amazing! So fresh and delicious….I have to see if we have it over here, would love to try! I hope you had wonderful weekend! 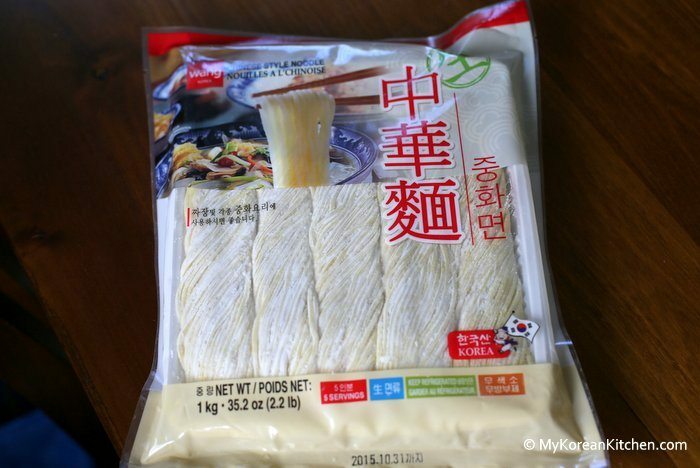 I have used these noodles many times, and they are REALLY good with jajangmyeon! Now, I just have to perfect my jajangmyeon sauce, lol! I have never seen such fresh noodles here (no Korean shop alas), but I bet they were delicious, especially with the black bean sauce from your previous post.